Senator Charles Schneider was first elected to the Iowa Senate in 2012, and was re-elected in 2016. Senator Schneider’s peers have elected him to a leadership position since 2014. 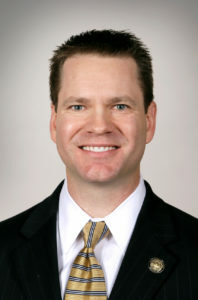 Before his election to the Iowa Senate, Senator Schneider served on the West Des Moines City Council from 2007 to 2012. He chaired the council’s Finance and Administration Subcommittee and served on the council’s Public Safety Subcommittee. Senator Schneider is also counsel for Principal Financial Group, where he has worked since 2007. Before joining Principal, he was a lawyer with the law firm of Dickinson Mackaman Tyler & Hagen, PC. Senator Schneider received his bachelor’s degree from Creighton University, and his law and MBA degrees from the University of Iowa. He and his wife, Lisa, reside in West Des Moines and are members of St. Francis of Assisi Church.